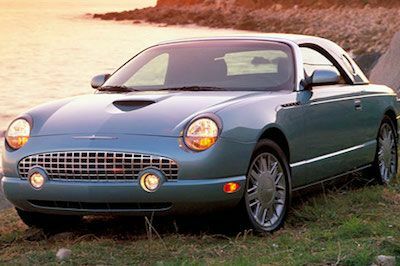 When you need new parts for your Ford Thunderbird, we can help. The Thunderbird has always been an iconic car and keeping it maintained is a passion for you. You only use genuine OEM Thunderbird parts because they are made to meet the factory specifications for fit and performance. Belts and Hoses – The belts and hoses are wear and tear items on your vehicle. They need to be checked regularly for wear. A leaking hose can cause your Ford to overheat. We have belts, hoses and filters. Shocks and Struts – When it comes to a smooth ride, the shocks absorb all of the rough road and make your ride comfortable. If you notice that your ride is no longer smooth, you might have worn out shocks. We carry shocks, struts and axles. Radiators – The radiator holds all of your coolant. If there is a leak in the radiator, your engine may overheat, which can cause significant damage. We have radiators, water pumps and thermostats. When you buy your Ford parts from us, you get the best prices and no inflated shipping charges. Our experienced parts department employees can answer any questions you might have about your Thunderbird parts. Call us today at 585-475-1064.